A variety of educational games for kids exist, including board games, card games, interactive puzzles and video games. Most kids enjoy the challenge of participating in games, and the process of playing some of educational activities may actually make them smarter and more capable. Games can also bring you and your child closer as you enjoy the activity together. Particularly for toddlers and kindergartners, board games and other learning games that invite physical interaction play an important part in developing and advancing motor skills. Games such as Twister, which encourage manual dexterity and strengthen balance, help kids coordinate the body with the brain and experiment with how the two entities cooperate. Advanced video- and electronic-game systems also have the advantage of improving hand-eye coordination and visual focus. According to Dr. Shari Nethersole, a physician at Children’s Hospital in Boston, interactive games have the significant benefit of improving social skills through encouraging diplomatic and organized communication between children. When adults aren’t playing, kids have to negotiate rules, follow a set system of directions and take turns to keep the game running. Learning games inspire cooperation and may even play a role in the development of conflict resolution and mediation skills. Scholastic Parent &amp; Child magazine points out that many educational games, particularly board games, have the power to improve children’s focus and lengthen their attention spans. Kids who easily get frustrated and might quit other activities without seeing quick results might tend to stick with games for longer periods of time because of the possibility of advancement and rewards. Ultimately, sticking with a game through its course can help kids develop patience and maturity. Board games, concentration games and mathematics activities also require memorization and repetition for success. Kids who play them often learn the advantages of exercising those skills. Many tests and quizzes in every grade have similar formats to those found in board games and quiz games. Kids can better their chances of scoring well by mastering these systems and formats in a playful setting. Dr. Mark Griffiths, a psychology professor at Nottingham Trent University, notes that many educational video games seem to improve children’s self-esteem and provide a positive feeling of accomplishment. Educational games, whether they consist of solving a puzzle or completing a virtual level, offer rewards for tasks that kids have independently completed and may inspire them to take productive risks in other areas of their lives as well. Educational games that encourage creative expression, such as Pictionary and Cranium, push kids to think outside the norm and consider atypical methods of explanation. 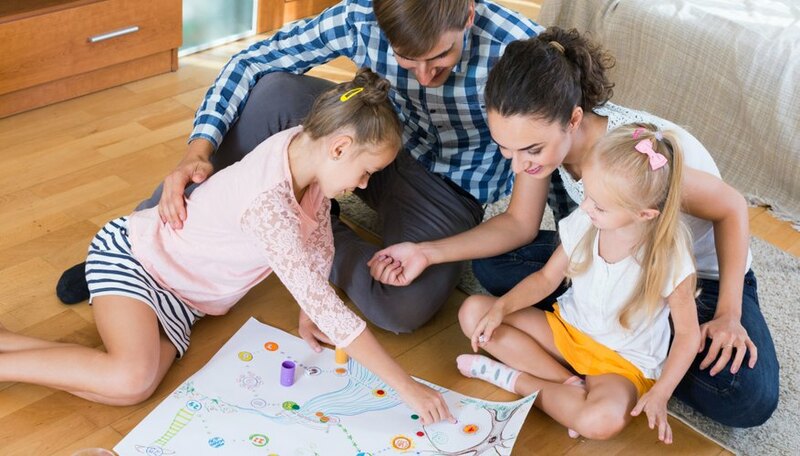 Exploring and expanding creativity through such games can also help with nurturing self-esteem and self-acceptance, and they inspire a greater connection between personality and activity. What Are the Benefits of Playing Card Games?